When an Airline Changes Its Schedule, What Are Your Rights? Airlines often change schedules; some by a few minutes, some by hours or even days; some voluntarily, some forced by circumstances. Other than in the isolated cases covered by government regulations, your “rights” in a schedule change are governed by the contract you have with an airline, which is called a “contract of carriage.” And most lines’ contracts are surprisingly vague and imprecise about schedule changes. You might be surprised to find that most airline contracts specifically state that the schedule is not part of the contract, or they contain an equivalent statement that the airline is not liable for failure to operate according to schedule, or both. Although you may view the schedule as an inherent part of what you buy when you buy a ticket, the airlines say, “Not really.” Clearly, in this matter as in others, airlines are challenging the banks to see who can employ the most one-sided consumer contracts. If a different airline can get you to your destination sooner than your original line, Alaska, Allegiant, Frontier, Hawaiian, and JetBlue say they’ll transfer you to that line, as long as that line has available seats and an interline agreement with the original line. However, you have to ask; the line seldom volunteers it, and a transfer may be contingent on a minimum delay of up to three hours. American, Delta, United, US Airways, and Virgin America say they can transfer you to another line but only at their sole discretion. In effect, you can ask, but you can’t demand. Southwest and Spirit promise only to put you on another of their own flights. If you don’t like your airline’s solution, most contracts offer you the alternative of a refund, with no refund penalty even on a nonrefundable ticket. At the start of the trip, the refund is for the full amount; after you’ve started, the typical refund is for the “unused portion” of your ticket. Of the contracts I checked, only Spirit’s does not specify any refund option. Typically, when a schedule change is an airline’s fault, most contracts obligate the airline to provide various forms of assistance (meals, accommodations, and such) as appropriate. In the event of weather or other cancellations not under the airline’s control, however, all you get is a new flight or a refund. Typically, you will prefer to accept the best deal you can get to complete your trip with as little disruption as possible. Occasionally, however, even your airline’s best alternative will no longer suit your purpose. 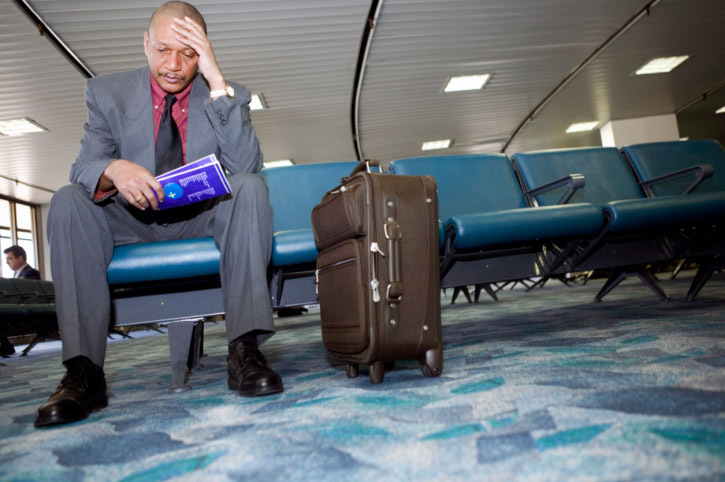 If the delay or cancellation would cause you to miss an important meeting, connecting flight or some other firm date, you may no longer want to complete your trip at all. At your original departure point, the full refund option obviously applies. But if you’re stalled at a connecting point, you might just want to go home without continuing: Alaska is the only line whose contract provides a refund of the entire ticket rather than just the unused portion. Also, some lines set a minimum qualifying time for delay-based refunds: 60 minutes on Alaska, 90 minutes on Delta, and an undefined “significant” delay on Allegiant. If you learn of a schedule change before your departure date, you might want out, with no penalty, so that you could find a better deal on some other line. I found no specific contract language about such advance cancellations. As far as I can tell, most lines treat them in the same way as they treat departure-day cancellations, but that’s a matter of practice, not contract. Typically, what you get is what the agent you deal with says you get.